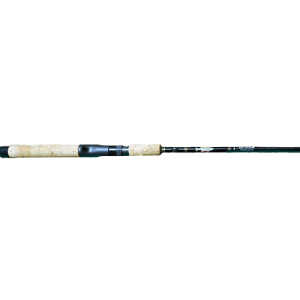 Any Length5' 10"5' 6"6' 0"6' 3"6' 6"7' 0"7' 6"8' 0"9' 0"
XLH70 Series XC256UL, two piece 5′ 6″ casting rod with ultra lite power rated for 2 to 6 lb test line. XLH70 Series XC156UL, one piece 5′ 6″ casting rod with lite power is rated for 6 to 10 lb test line. XLH70 Series XC156ML, one piece 5′ 6″ casting rod with medium lite power rated for 8 to 12 lb test line. XLH70 Series XC156M, one piece 5′ 6″ casting rod with medium power rated for 8 to 15 lb test line. XLH70 Series XC156MH, one piece 5′ 6″ casting rod with medium heavy power is rated for 10 to 17 lb test line. XLH70 Series XC156H, one piece 5′ 6″ casting rod with heavy power is rated for 12 to 20 lb test line. XLH70 Series XC1510ML, one piece 5′ 10″ casting rod with medium lite power rated for 8 to 12 lb test line. XLH70 Series XC1510M one piece 5′ 10″ casting rod with medium power rated for 8 to 15 lb test line. XLH70 Series XC1510MH, one piece 5′ 10″ casting rod with medium heavy power is rated for 10 to 17 lb test line. XLH70 Series XC160L, one piece 6′ 0″ casting rod with lite power is rated for 6 to 10 lb test line. XLH70 Series XC160ML, one piece 6′ 0″ casting rod with medium lite power rated for 8 to 12 lb test line. XLH70 Series XC160M, one piece 6′ 0″ casting rod with medium power rated for 8 to 15 lb test line. XLH70 Series XC260M, two piece 6′ 0″ casting rod with medium power rated for 8 to 15 lb test line. XLH70 Series XC160MH, one piece 6′ 0″ casting rod with medium heavy power is rated for 10 to 17 lb test line. XLH70 Series XC160H, one piece 6′ 0″ casting rod with heavy power is rated for 12 to 20 lb test line. XLH70 Series XC163H, one piece 6′ 3″ casting rod with heavy power is rated for 12 to 20 lb test line. XLH70 Series XC363H, three piece 6′ 3″ casting rod with heavy power rated for 12 to 20 lb test line. XLH70 Series XC166L, one piece 6′ 6″ casting rod with lite power is rated for 8 to 12 lb test line. XLH70 Series XC166ML, one piece 6′ 6″ casting rod with medium lite power rated for 8 to 12 lb test line. XLH70 Series XC166M, one piece 6′ 6″ casting rod with medium power rated for 8 to 15 lb test line. XLH70 Series XC266M, two piece 6′ 6″ casting rod with medium power rated for 8 to 15 lb test line. XLH70 Series XC366M, three piece 6′ 6″ casting rod with medium power rated for 8 to 15 lb test line. XLH70 Series XC366ML, three piece 6′ 6″ casting rod with medium power rated for 8 to 12 lb test line.